In 1843 Charles Dickens approached Angela Burdett-Coutts about the possibility of supporting Ragged Schools. These early schools provided almost the only secular education for the very poor. Dickens had provided a small sum of money from one of these schools in London. Burdett-Coutts was attracted to the idea and offered to provide public baths and a larger school room. Lord Shaftesbury formed the Ragged School Union in 1844 and during the next eight years over 200 free schools for poor children were established in Britain. Wealthy individuals such as Burdett-Coutts gave large sums of money to the Ragged Schools Union. This helped to establish 350 ragged schools by the time the 1870 Education Act was passed. 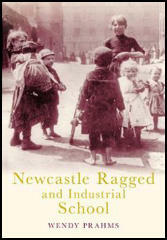 Over the next few years ragged schools were gradually absorbed into the new Board Schools. I offer no apology for entreating the attention of the readers of the Daily News to an effort which has been making for some three years and a half, and which is making now, to introduce among the most miserable and neglected outcasts in London, some knowledge of the commonest principles of morality and religion; to commence their recognition as immortal human creatures, before the Gaol Chaplain becomes their only schoolmaster; to suggest to Society that its duty to this wretched throng, foredoomed to crime and punishment, rightfully begins at some distance from the police office, and that the careless maintenance from year to year, in this the capital city of the world, of a vast hopeless nursery of ignorance, misery, and vice: a breeding place for the hulks and jails: is horrible to contemplate. This attempt is being made, in certain of the most obscure and squalid parts of the Metropolis; where rooms are opened, at night, for the gratuitous instruction of all comers, children or adults, under the title of Ragged Schools. The name implies the purpose. They who are too ragged, wretched, filthy, and forlorn, to enter any other place: who could gain admission into no charity school, and who would be driven from any church door; are invited to come in here, and find some people not depraved, willing to teach them something, and show them some sympathy, and stretch a hand out, which is not the iron hand of law, for their correction. Before I describe a visit of my own to a Ragged School, and urge the readers of this letter for God's sake to visit one themselves, and think of it (which is my main object), let me say, that I know the prisons of London well. That I have visited the largest of them, more times than I could count; and that the children in them are enough to break the heart and hope of any man. I have never taken a foreigner or a stranger of any kind, to one of these establishments, but I have seen him so moved at sight of the child offenders, and so affected by the contemplation of their utter renouncement and desolation outside the prison walls, that he has been as little able to disguise his emotion, as if some great grief had suddenly burst upon him. Mr. Chesterton and Lieutenant Tracey (than whom more intelligent and humane Governors of Prisons it would be hard, if not impossible, to find) know, perfectly well, that these children pass and repass through the prisons all their lives; that they are never taught; that the first distinctions between right and wrong are, from their cradles, perfectly confounded and perverted in their minds; that they come of untaught parents, and will give birth to another untaught generation; that in exact proportion to their natural abilities, is the extent and scope of their depravity; and that there is no escape or chance for them in any ordinary revolution of human affairs. Happily, there are schools in these prisons now. If any readers doubt how ignorant the children are, let them visit those schools, and see them at their tasks, and hear how much they knew when they were sent there. If they would know the produce of this seed, let them see a class of men and boys together, at their books (as I have seen them in the House of Correction for this county of Middlesex), and mark how painfully the full grown felons toil at the very shape and form of letters, their ignorance being so confirmed and solid. The contrast of this labour in the men, with the less blunted quickness of the boys; the latent shame and sense of degradation struggling through their dull attempts at infant lessons; and the universal eagerness to learn, impress me, in this passing retrospect, more painfully than I can tell. For the instruction, and as a first step in the reformation, of such unhappy beings, the Ragged Schools were founded. I was first attracted to the subject, and indeed was first made conscious of their existence, about two years ago, or more, by seeing an advertisement in the papers dated from West Street, Saffron Hill, stating "That a room has been opened and supported in that wretched neighbourhood for upwards of twelve months, where religious instruction had been imparted to the poor", and explaining in a few words what was meant by Ragged Schools as a generic term, including, three, four or five similar places of instruction. I wrote to the masters of this particular school to make some further enquiries, and went myself soon afterwards. It was a hot summer night; and the air of Field Lane and Saffron Hill was not improved by such weather, nor were the people ill those streets very sober or honest company. Being unacquainted with the exact locality of the school, I was fain to make some inquiries about it. These were very jocosely received in general; but everybody knew where it was, and gave the right direction to it. The prevailing idea among the loungers (the greater part of them the very sweepings of the streets and station houses) seemed to be, that the teachers were quixotic, and the school upon the whole "a lark". But there was certainly a kind of rough respect for the intention, and (as I have said) nobody denied the school or its whereabouts, or refused assistance in directing to it. It consisted at that time of either two or three - I forget which - miserable rooms, upstairs in a miserable house. In the best of these, the pupils in the female school were being taught to read and write; and though there were among the number, many wretched creatures steeped in degradation to the lips, they were tolerably quiet, and listened with apparent earnestness and patience to their instructors. The appearance of this room was sad and melancholy, of course - how could it be otherwise! - but, on the whole, encouraging. The close, low, chamber at the back, in which the boys were crowded, was so foul and stifling as to be, at first, almost insupportable. But its moral aspect was so far worse than its physical, that this was soon forgotten. Huddled together on a bench about the room, and shown out by some flaring candles stuck against the walls, were a crowd of boys, varying from mere infants to young men; sellers of fruit, herbs, lucifer-matches, flints; sleepers under the dry arches of bridges; young thieves and beggars - with nothing natural to youth about them: with nothing frank, ingenuous, or pleasant in their faces; low-browed, vicious, cunning, wicked; abandoned of all help but this; speeding downward to destruction; and unutterably ignorant. This, Reader, was one room as full as it could hold; but these were only grains in sample of a Multitude that are perpetually sifting though these schools, in sample of a Multitude who had within them once, and perhaps have now, the elements of men as good as you or I, and maybe infinitely better; iii sample of a Multitude among whose doomed and sinful ranks (oh, think of this, and think of them!) the child of any man upon this earth, however lofty his degree, must, as by Destiny and Fate, be found, if, at its birth, it were consigned to such an infancy and nurture, as these fallen creatures had! 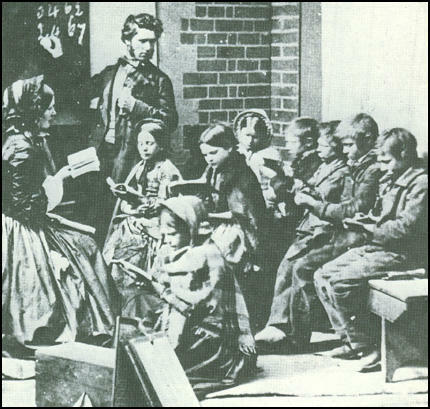 This was the Class I saw at the Ragged School. They could not be trusted with books; they could only be instructed orally; they were difficult of reduction to anything like attention, obedience, or decent behaviour; their benighted ignorance in reference to the Deity, or to any social duty (how could they guess at any social duty" being so discarded by all social teachers but the gaoler and the hangman!) was terrible to see. Yet, even here, and among these, something had been done already. The Ragged School was of recent date and very poor; but it had inculcated some association with the name of the Almighty, which was not an oath, and had taught them to look forward in a hymn (they sang it) to another life, which would correct the miseries and woes of this. The new exposition I found in this Ragged School, of the frightful neglect by the State of those whom it punishes so constantly, and whom it might, as easily and less expensively, instruct and save; together with the sight I had seen there, in the heart of London; haunted me, and finally impelled me to an endeavour to bring these Institutions under the notice of the Government; with some faint hope that the vastness of the question would supersede the Theology of the schools, and that the Bench of Bishops might adjust the latter question, after some small grant had been conceded. I made the attempt; and have heard no more of the subject, from that hour.